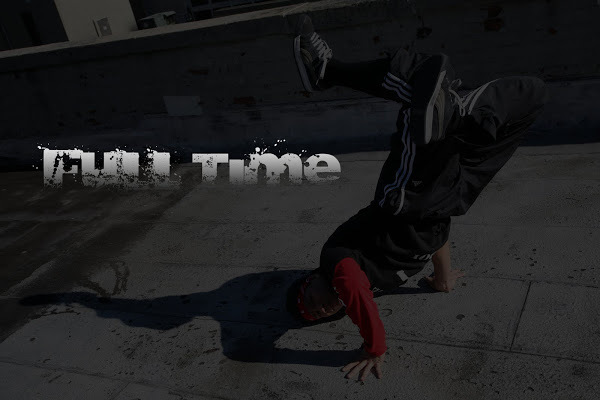 The fight is tomorrow(May 1st, 2010)..WHo do do you think will win? I'm kind of 50/50 on this. 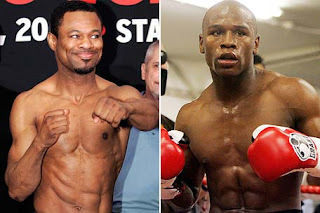 If mayweather wins, a big possibility of him facing paquiao regardless of all the requests, promoters will try to push it. If Mosley wins, he'll face pacquiao as well-no holding back like he said. From what I remember, they were suppose to face each other 10 years ago, but it never happen. I'm pretty sure one of them turn down the fight. For some reason, I don't want to see Mayweather blemish his undefeated record of 40-0 regardless of the controversy about picking his opponents, I could careless now, but we gotta see who really is the best pound for pound. I think its in these 3 fighters (Mayweather, Pacquiao, or Mosley). One of them has to be on top. 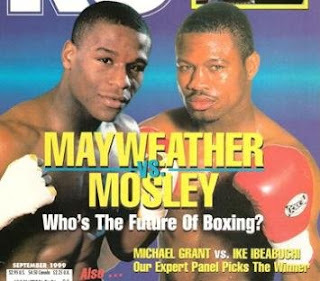 My instinct tells me mayweather will win since he has the title "technician" or somethin, even though I'm on mosley's side because he's been on the game longer than mayweather, so I might just have to bet my money online on Floyd. Hopefully this one should be entertaining.